Located at the corner of Irving St. and East Milton Ave. Directly across from the New Jersey Transit Train Station. Close to Route 287, New Jersey Turn Pike, and Garden State Parkway. 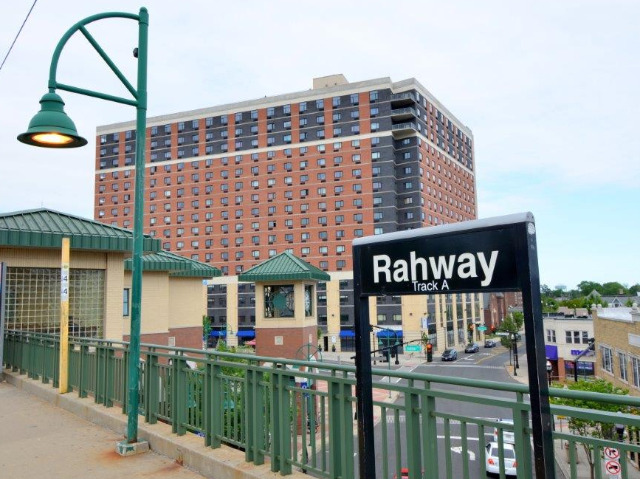 Rahway has undergone a major cultural renaissance in recent years attracting a growing arts community and an array of fine dining options to its tree-lined, walkable downtown area. City leadership, which recently expanded the Union County Performing Arts Center (a seven minute walk from Skyview), is committed to encouraging further growth. Our apartments are also a ten minute drive to downtown Westfield - home to many beautiful boutiques, restaurants and coffee shops.